No, there is official version created as portable. However, you can create the portable version for yourself. Simply configure it the way you want it with all the icons and shortcuts and then go to Dock Settings > General and tick the option like you see in the image below. 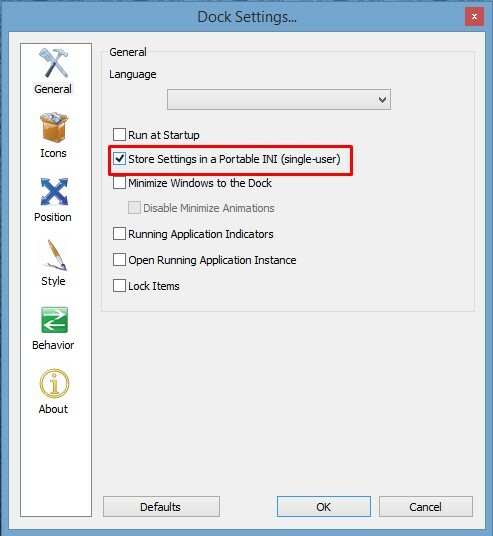 After this procedure, you can close it and copy the installation folder from C:\Program Files\RocketDock to another location or computer. When you launch it, it should be the same. Note: Make sure to configure it with all the resources copied in the installation folder.